The good news is, there is another event right around the corner! Tuesday, February 12, at 5:00 PM, join KV Connect for their monthly Green Drinks event. 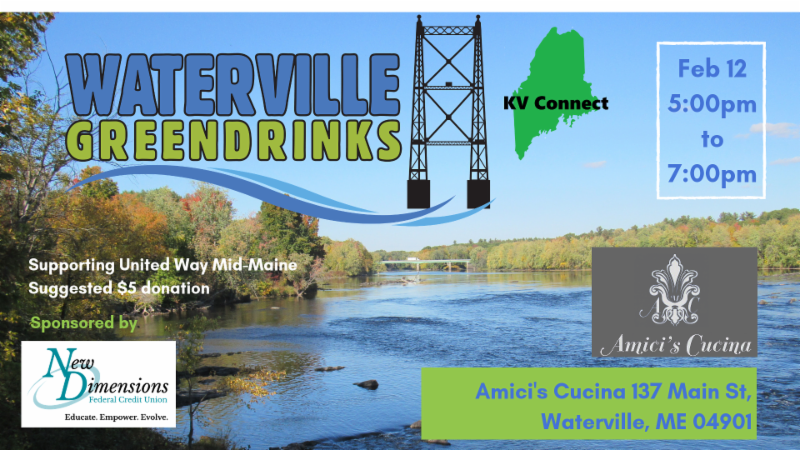 Come to Amici's Cucina for an exciting evening of networking and help support United Way of Mid-Maine! Appetizers will be provided. Admission is a $5.00 suggested donation to benefit the United Way of Mid-Maine. So come out for some networking that benefits the community as well! Feel free to share and invite people on Facebook, too!